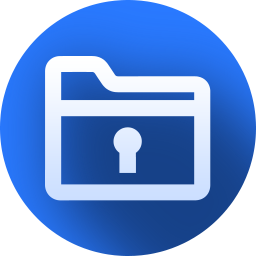 Joyoshare UltFix 1.0 was available as a giveaway on March 26, 2019! How would you improve Joyoshare UltFix 1.0? 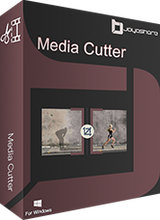 Easy-to-use video splitting tool to cut video and audio files including AVI, MP4, MPEG, VOB, WMV, ASF, RM, RMVB, 3GP, AAC, MP3, WMA, M4R, etc. It’s your best choice to cut and convert videos/audios into different kinds of media formats as well as extract audios from video files. It is the most advanced screen recording software. 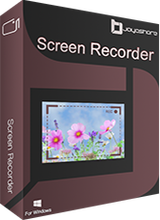 It is not only a video recorder it also serves as a smart audio recorder. You can use it to recorder any screen video like lectures, live chat, streaming movies, Skype calls, etc in full screen and save the video and audio as HD, MP4, AVI, FLV, MOV, SWF, MP3, AAC, M4A, M4B, etc. Once recorded, you can play and share it to any popular devices like iPhone, Android, Smart TV, etc with lossless quality. Firefox failed on install,, why does it error out on showing some message in the browser? I put the email and registration code. Registered and it failed. 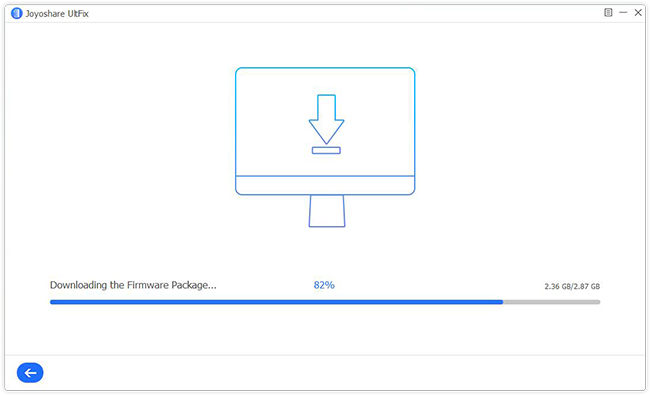 I have the latest iPhone updates, so why does Joyoshare UltFix require a firmware package download? [ Question ], replacing the firmware with a fresh copy is a typical way to "fix" problems without troubleshooting, many iPhone/iPad "fixers" do the same -- and they tend not to trust that your installed firmware is okay, nor do they tend to trust your own previously downloaded copy, preferring to take 100 % responsibility for refreshing your entire firmware with the current version supported by Apple. 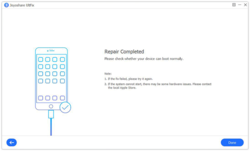 We could say that Joyoshare UltFix 1.0 is an Apple inflictor, not an independent fix-it troubleshooter that goes beyond merely refreshing / updating Apple firmware. Joyoshare UltFix 1.0 is not a troubleshooter / fixer at all, in fact.
. [ Question ], replacing the firmware with a fresh copy is a typical way to "fix" problems without troubleshooting, many iPhone/iPad "fixers" do the same -- and they tend not to trust that your installed firmware is okay, nor do they tend to trust your own previously downloaded copy, preferring to take 100 % responsibility for refreshing your entire firmware with the current version supported by Apple. We could say that Joyoshare UltFix 1.0 is an Apple inflictor, not an independent fix-it troubleshooter that goes beyond merely refreshing / updating Apple firmware. Joyoshare UltFix 1.0 is not a troubleshooter / fixer at all, in fact. . Anyone know if this requires itunes to be installed on the computer this is installed onto? "Joyoshare UltFix cannot run without iTunes. Please download and install iTunes first." Err the program IS RUNNING without iTunes! I tmay not be bale to complete any comunications with an IOS device without iTunes but it is certainly running without it! Needs further refinment which I suppose is to be expected of an inital release candidate... and needs system requirements entry above updated to state it requires iTunes to operate! TK, Grrr, no mention of iTunes requirement here in system requirements and no mention during install of iTunes requirement... No mention during first run of iTunes requirement, able to register with readme.txt license code with no mention of iTunes requirement... only when I press START button on any of the operations it throws up an alert box stating "Joyoshare UltFix cannot run without iTunes. Please download and install iTunes first." Err the program IS RUNNING without iTunes! I tmay not be bale to complete any comunications with an IOS device without iTunes but it is certainly running without it! I have seen similar tools download the iTunes installer, extract and install the IOS device driver package and discard the rest of the iTunes installer.... Or they could probably roll their own user mode driver using Microsoft WinUSB driver package and possibly add factory recovery methods not possible with the iTunes driver... Needs further refinment which I suppose is to be expected of an inital release candidate... and needs system requirements entry above updated to state it requires iTunes to operate! That's right. You have to install iTunes on your computer firstly. I have an iphone 5s with one of these problems - all I can say is if this was able to fix or improve the issue - it would be a one in a million program, as most programs claiming to access a iphone this way do not work. I will give it a try. ray, please don't forget to post a follow up comment to your thread here to let us all know if it worked or not, thanks. Personaly I always suspect new software products that claim all sorts of highly specialised functions yet are only version 1.0 most tools are incrimental in development... adding functions as the basic operation has been debugged and made reliable. Most developers go through a learning curve in either their programming skills and or the technicalities of the way a program works and what it can do and very few if any commercial programs version 1.0 is particularly impressive. I don't yet know how "good" Joyoshare UltFix 1.0 is because it failed to undo a black-screen-of-death on an iPad when connected to one computer, I will try another computer. 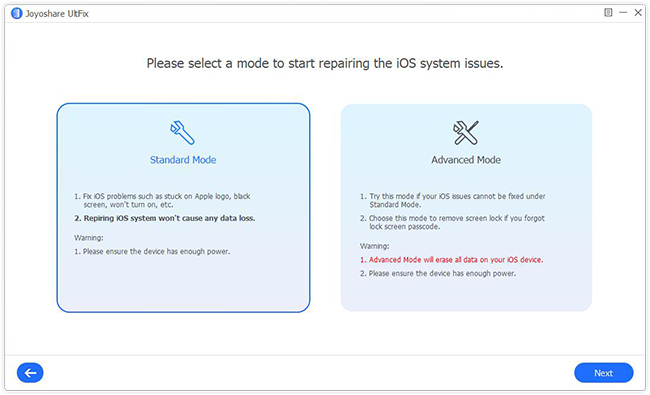 However, Joyoshare UltFix 1.0 expects you yourself to be able to put your iDevice into DFU Device Firmware Upgrade mode, which cannot be done from a black-screen-of-death, so I am not hopeful. Apparently this software only works on DFU mode, not true black-screen-of-death ( unresponsive, dead ). If I could put the device into DFU mode ( hold power and home switch for 10 seconds, release power only for 5 seconds, then release home ) then it would not be a black-screen-of-death, it would simply be a crash, and there would be no need for this software ( unless resetting your iDevice from DFU mode would wipe data you have not backed up ? ). Someday someone will go to that bin of dead Apple iDevices and do something more than just strip them for parts, but actually figure out how to bring them back to life. Though IBM also has no field-service-remedy for a locked CMOS password, IBM considers their computer throwaways. Hey, manufactures make money selling new stuff, not fixing old stuff, they have no incentive to help us out here. You want a working Apple iDevice out of your dead Apple iDevice? Buy another one, and trade-in your dead one if they'll take it.
. I don't yet know how "good" Joyoshare UltFix 1.0 is because it failed to undo a black-screen-of-death on an iPad when connected to one computer, I will try another computer. However, Joyoshare UltFix 1.0 expects you yourself to be able to put your iDevice into DFU Device Firmware Upgrade mode, which cannot be done from a black-screen-of-death, so I am not hopeful. Apparently this software only works on DFU mode, not true black-screen-of-death ( unresponsive, dead ). If I could put the device into DFU mode ( hold power and home switch for 10 seconds, release power only for 5 seconds, then release home ) then it would not be a black-screen-of-death, it would simply be a crash, and there would be no need for this software ( unless resetting your iDevice from DFU mode would wipe data you have not backed up ? ). Someday someone will go to that bin of dead Apple iDevices and do something more than just strip them for parts, but actually figure out how to bring them back to life. Though IBM also has no field-service-remedy for a locked CMOS password, IBM considers their computer throwaways. Hey, manufactures make money selling new stuff, not fixing old stuff, they have no incentive to help us out here. You want a working Apple iDevice out of your dead Apple iDevice? Buy another one, and trade-in your dead one if they'll take it. .
Peter Blaise, currently they strip them for the contacts gold plating and gold wires inside the chips not for spare parts of unknown functional state. 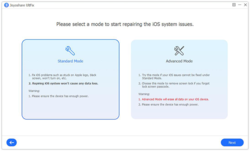 Joyoshare UltFix 1.0 merely reinstalls / updates Apple firmware, it does not troubleshoot or analyze anything to "fix". 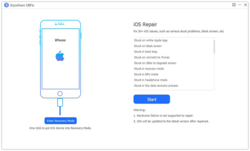 Your iPhone / iPad MUST work enough and respond to controls enough to be able to be out into DFU Device Firmware Upgrade mode. I have a black-screen-of-death iPad and a iTunes-locked iPhone, and Joyoshare UltFix 1.0 can do absolutely NOTHING to fix either of them. 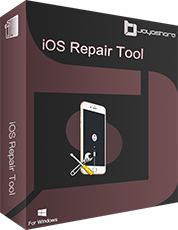 Apple iTunes can reinstall / update firmware, so what is Joyoshare UltFix 1.0 worth, really?
. Joyoshare UltFix 1.0 merely reinstalls / updates Apple firmware, it does not troubleshoot or analyze anything to "fix". 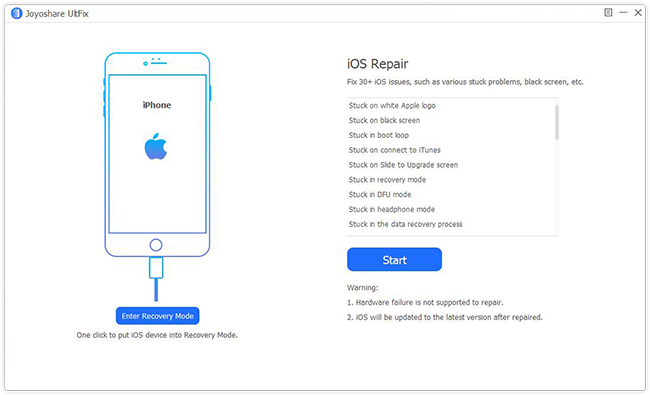 Your iPhone / iPad MUST work enough and respond to controls enough to be able to be out into DFU Device Firmware Upgrade mode. I have a black-screen-of-death iPad and a iTunes-locked iPhone, and Joyoshare UltFix 1.0 can do absolutely NOTHING to fix either of them. 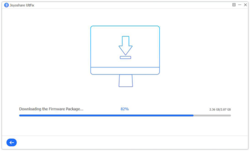 Apple iTunes can reinstall / update firmware, so what is Joyoshare UltFix 1.0 worth, really? Next. .
Dingo, ditto with this iPhone 4S I got for free. I disable everything and recharge often since I rarely use it. Dingo, .... My iPhone 4 is my live spare with a 3 network 321 sim. I sold the 5, 5se and 6. My wife now has the 5s and the 4s as her live spare, also on the 3 network with 321 sim. We have spare iPhones for competitions etc which may result in nuisance calls! Dingo, .... My iPhone 4 is my live spare with a 3 network 321 sim. I sold the 5, 5se and 6. My wife now has the 5s and the 4s as her live spare, also on the 3 network with 321 sim. We have spare iPhones for competitions etc which may result in nuisance calls!